Most people will experience a credit problem or two in their lifetimes as very few people can escape all of these problems. Credit is typically a necessary and required fact of life. The majority of people will require credit for the purchase of the larger items like houses and cars. Bad credit may be a problem but it is a good thing that there are steps you can take to repair or improve your credit. Get a copy of your credit reports. The first thing that you should do before you start a credit repair strategy is to get a copy of all three of your credit reports from each of the big three credit reporting agencies, TransUnion, Equifax and Experian. You have the right to receive one free credit report from all three bureaus one time each year. Get your free reports and find out where you are to start with. Once you have your reports in hand you need to check them all very thoroughly. It is estimated that at least 75% or more of all credit reports contain errors that can be deleted to raise credit scores. 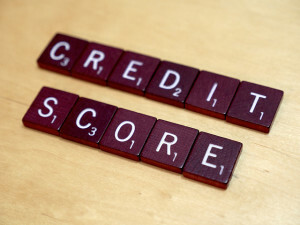 Sometimes even the credit that seems accurate has some minor mistakes that can damage your credit score. Do you need to dispute something? A credit dispute to the credit bureaus is one of the most effective ways to get erroneous credit removed from your report. It will require a detailed and concise letter to the credit bureaus outlining your case and why the information is wrong. You must also request an investigation. After receipt of the letters the bureaus must investigate and either verify the accuracy of their reporting or delete the questionable information entirely. Some even more effective credit tips are to focus on rebuilding credit and increasing the amount of positive information showing up on your report. Establish some new ad good credit and always make sure that all of your current credit is up to date. The debt to available credit ratio is also very crucial. To improve this ratio you need to either pay down your existing debt or get your credit limits increased. Your credit history is also very important and the longer you have had credit the better so never close out your old accounts because that history will be erased. Pay all of your bills on time and avoid further indebtedness if possible. It is the people who have access to the most credit but rarely if ever use it who enjoy the highest credit scores. Credit repair is something that you can do on your own and it is never necessary to hire a professional. It can however, become a very time-consuming, tedious and even confusing project at times so you may want to consider consulting with a good and reliable credit repair agency. A good company can offer you the experience and expertise that you do not have. It is not necessary to have the problem of bad credit. You can improve it so it is advantageous to look into credit repair solutions for your bad credit. You could need to have good credit at any time and life is always easier with good credit and high credit scores.